That was what Pierre-Eric Trimovillas, a French citizen, said of the Notre-Dame fire. 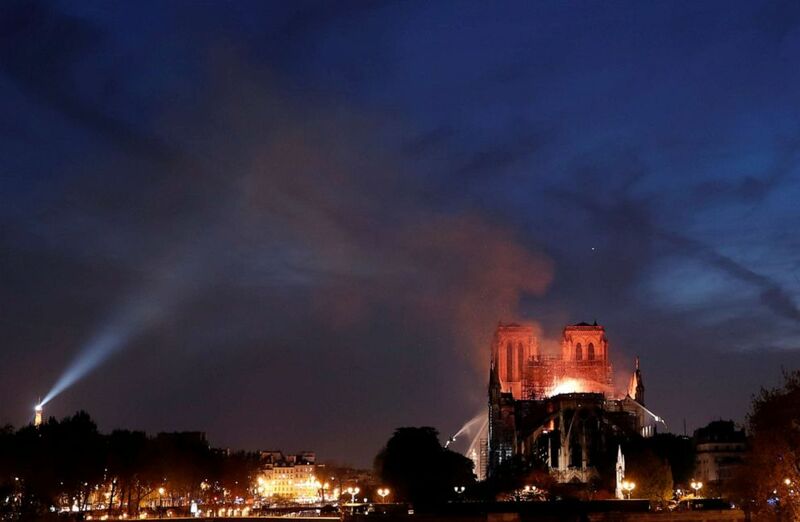 On Monday evening, the French cathedral went up in flames, forcing the world to watch it burn. At about 6:30 pm Parisian time, the fire started. The Paris fire chief Jean-Claude Gallet said that it started in the attic. More specifically, it seemed to have started in an interior network of wooden beams, nicknamed “the forest”. “The forest” dates back to the Middle Ages, and were extremely dry, thus susceptible to fire. 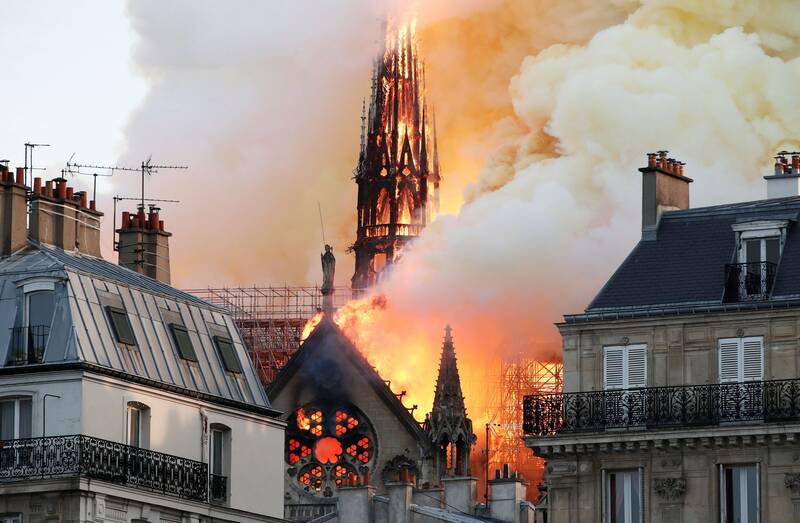 Not only did the fire destroy two-thirds of the roof, but the iconic 295-foot spire also burned and toppled, falling into the cathedral itself. The blaze went on for about 9 hours, before the situation was deemed “under control”. 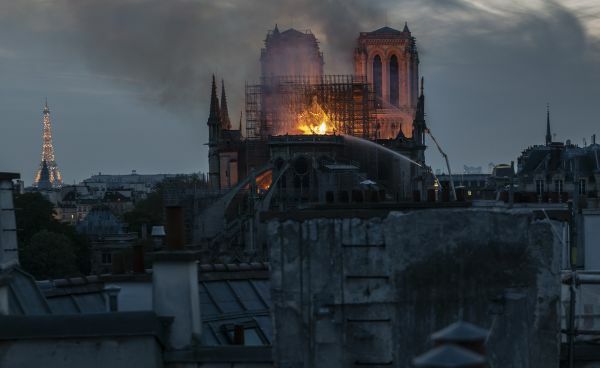 In wake of the fire, French president Emmanuel Macron has called it a “terrible tragedy”, but that they will “rebuild the cathedral together”. First of all, the fire started in “the forest”, a network of dry wood. Firefighting efforts were further hampered by the stone exterior, which traps heat and smoke, making it impossible to work from the inside. However, the biggest problem of all was to actually gain access to the high ceiling beams – the frame for the cathedral’s roof. The height of the fire meant that there was ample oxygen for the fire to breathe, and aerial options to extinguish the fire weren’t realistic due to the heat and thin air. Furthermore, by dumping water from above had its own risks in the form of collateral damage: the water could weaken the surrounding structures and “lead to collapse of the entire structure of the cathedral”. The most severe damage was the roof, as two-thirds of it was destroyed, as well as the spire. Thankfully, the two bell towers and the main edifice were salvaged. The largest of the bells dates back to 1681, and survived the French Revolution when the cathedral was defaced badly. The conditions of many works remain unknown, including the organs, paintings and sculptures. However, it is believed that some art may have been saved as they were fortunately removed due to ongoing renovation works. The cause of fire also remains a mystery, and there were no fatalities, though a firefighter was seriously injured. 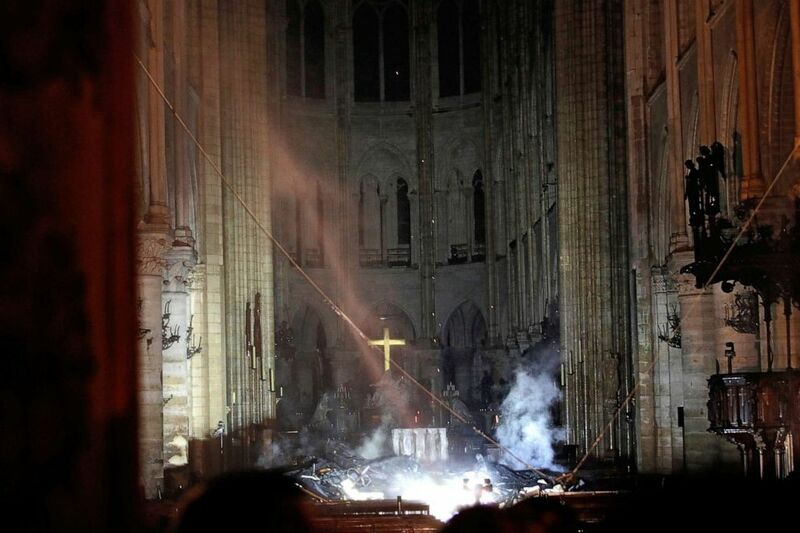 Rescue work of the art is ongoing, but they are proceeding carefully since the cathedral is still full of smoke and falling materials, including melting lead. The ministry flew drones to survey damage and pumped water from the Seine to help combat the flames. About 400-500 firefighters were deployed to the scene, and they battled the blaze for almost 5 hours. When the fire was finally put out, the crowd applauded for them. 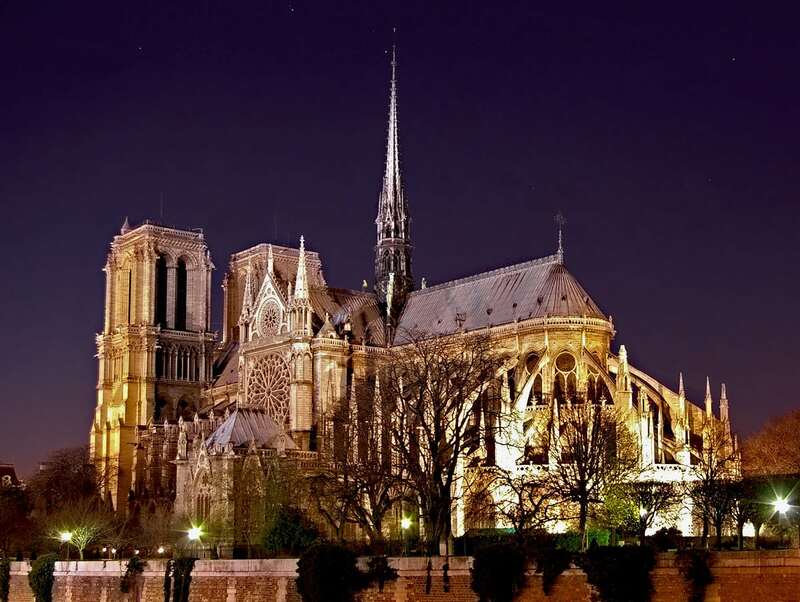 Although most of the roof was burned to cinders, Gallet said that the cathedral was “saved and preserved as a whole”. For the French, that was some comfort during a difficult time. Locals and tourists alike had come to a standstill watching the cathedral spout black smoke and orange flames, some calling loved ones, some crying uncontrollably. Another citizen said that Notre-Dame was the “heart and soul of Paris”, and it was agony to watch it burn. Even as we watch from afar, we share the grief of the French, and our hearts go out to them. Watching a national icon burn helplessly is unimaginably tough, but we believe that the cathedral will rise from the ashes again. Till then, we send our best thoughts and prayers to France, and all who are affected.